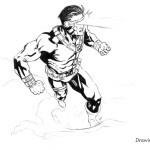 We continue the theme of drawing the X-Men. 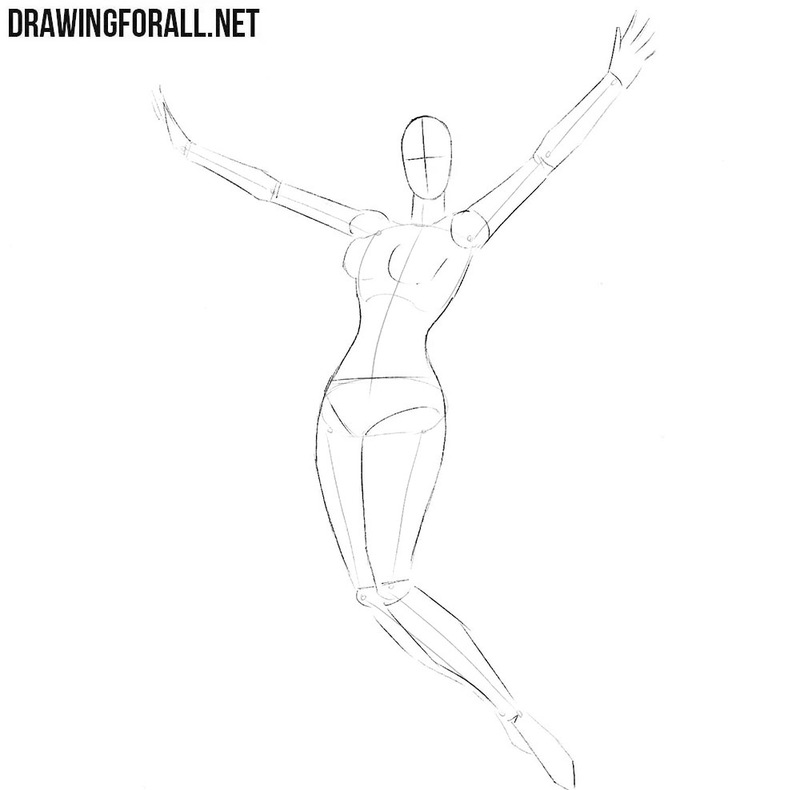 And in this drawing tutorial we will show how to draw Jean Grey. 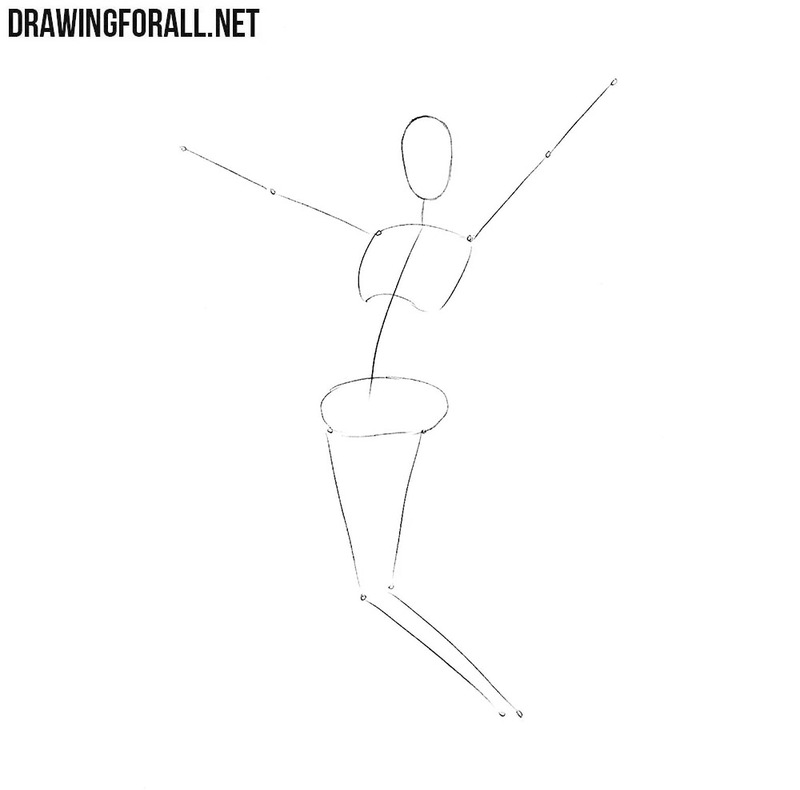 As in many other drawing tutorials, we start with the stickman of the character. First of all, we draw an oval head, and below this oval we draw a line of the spine. And on this spine line we draw the contours of the thorax and pelvis. The pelvis should be wider than the shoulders – this is a feature of the female figure. Using ordinary lines we sketch out the arms and legs. Recall that the lines in the first steps should be very light, and even almost transparent. 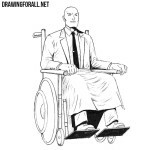 In this step we will add some volume to the body of Jean Grey. First we sketch out two intersecting lines on the face. After that we outline graceful neck and the shape of the torso, which narrows strongly at the waist and after that widens to the hips. Next, outline thin arms and legs. Try to repeat all the curves and shapes as in our picture. Now let’s add the main details. First of all sketch out features of the face using ordinary short lines. Next, draw contours of long, wriggling hair. You can use Jean’s left hand as a guide. After that we sketch out the fabric which is located at the waist. So we can start drawing the details using final dark lines. And we begin from the head. First of all, using clear lines, carefully draw out the eyes, nose and lips. After that draw out the face’s contours. Using wavy lines, we draw out voluminous hairstyle. At the very end of the step, remove all unnecessary guidelines from the head. It’s time to draw the torso of our character. Using curved lines carefully draw breasts, contours of lower part of the thorax and rectus abdominis muscle. Erase all unnecessary guidelines and draw out lines of clothing on the torso, considering the shape of the body under the clothes. And we move to the arms of Jean Grey. 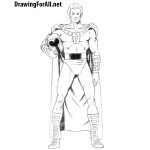 We draw out the outlines of arms and gloves and erase guidelines from this area to get clean picture. 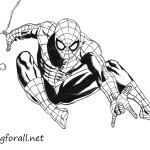 Don’t forget to visit this drawing tutorial about how to draw hands – it makes you working easy. We draw piece of cloth located at the waist with all folds that you can see in our picture. Next, carefully draw out the outlines of the legs, using smooth lines. After all these actions you can delete all extralines from previous steps. We finally got to the last step of the drawing lesson about how to draw Jean Grey. In this moment we always add shadows, this lesson is no exception. In this case we use light hatching to add shadows. So we finished. If you liked this drawing tutorial, please, don’t forget to share on your social networks. 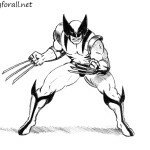 Also do not forget that we create a whole category with comics characters. In this category you can find many interesting and rare tutorials.